One night I was board and wanting to make something to decorate. I decided on hearts because hearts are so simple and pleasant. You should have six stitches now, check. If you don't you did something wrong. Now it gets a little more complicated. The next step is happily simple, crochet one single stitch into each stitch in the row. Now, your probably wondering, "How is this going to be a heart?" In this first and final step you will finally see. Crochet on single stitch first then skip the next stitch and crochet five double stitches into the third one. Skip the next stitch and crochet a slip stitch into the fifth. Skip the sixth and crochet another five double stitches into the seventh finally crochet one last singe into the ninth and I'm sure you know how to tie things off? 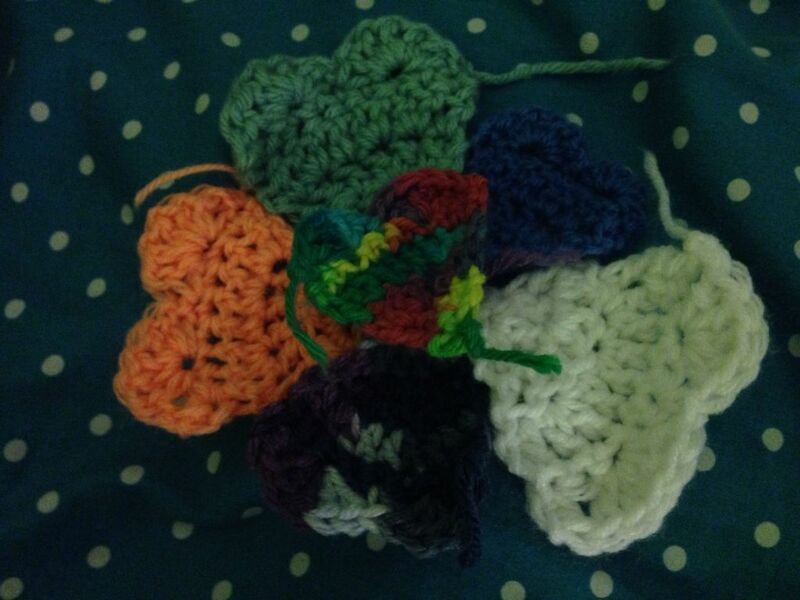 Congratulation, you've crocheted a heart!!! It turned out so cute! Thanks for all the detailed steps. Thanks for sharing!